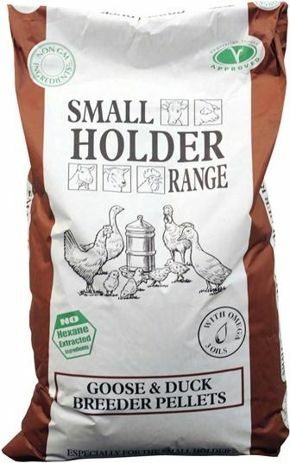 Goose & Duck Breeder Pellets are formulated for breeding birds and encourage natural egg production and fertility. • This feed is drug free and does not contain Coccidiostats. Feed ad lib from 6-8 weeks before breeding. Introduce a new feed gradually over 7 to 10 days to help a smooth change over. This feed should be fed with ad lib fresh water.